Boot Cove is a new work I am just finishing. 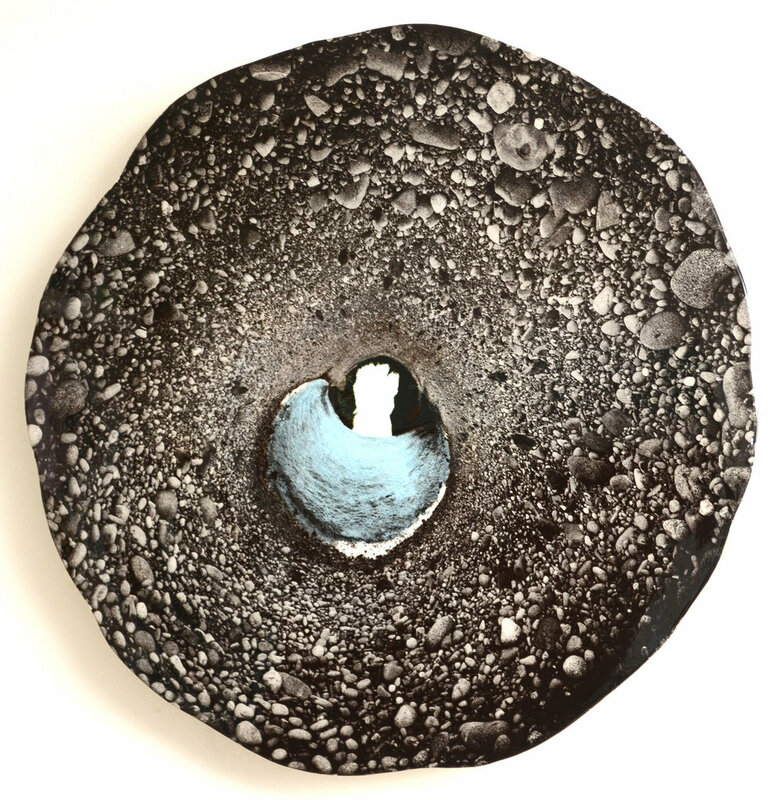 It is a circular ceramic print that has the “stoned “ look of the Maine coast. I gave myself a self funded residency in Lubec, Maine this past summer to find and photograph landscapes for panoramas. Walking on Maine Coast Heritage Trust Boot Head trail alongside the Atlantic Ocean, I was about to return to my car, exhausted and short of a destination I had mapped out when. Two hikers I met said I HAD to visit Boot Cove.